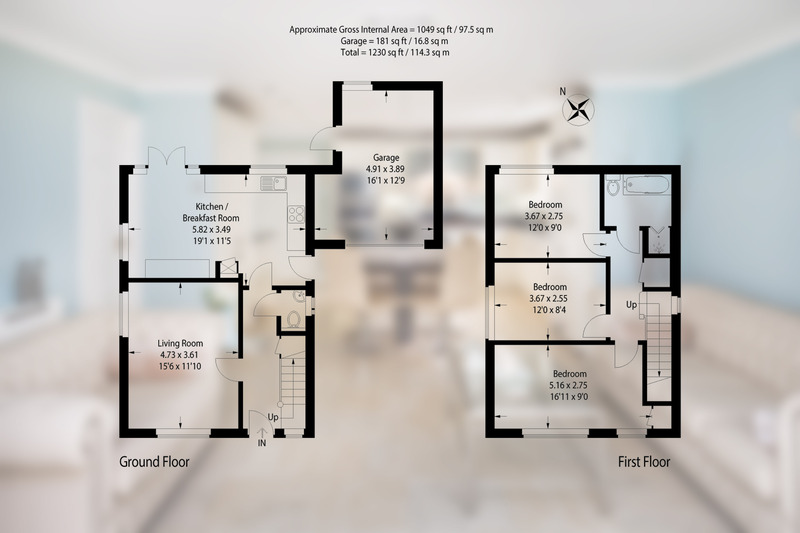 An accurate and detailed floor plan is a hugely important tool when it comes to selling or renting a property. All our floor planners are fully trained and certified surveyors and all our plans are drawn and measured in compliance with the RICS Code of Measuring Practice. We can supply floor plans as standard black and white or multi coloured. We can also supply coloured plans to suite your company branding and even add your company logo. All finished plans are thoroughly checked before being uploaded to your dedicated client area the next working day. We have been using Bagshaw & Hardy for a number of years now and cannot fault their reliability or quality of pictures. Clients always comment on the great shots and I can say that in some cases it has been the difference between winning an instruction and not. I've just seen the photo's you took of my house...we can't thank you enough, you've absolutely transformed it. I have to say what a stunning collection of photos! This was on of the most difficult houses to photograph in my 23 year long agency career and I had to say how please I am - and I'm not the client!!! Bagshaw and Hardy always exceed expectations on the 3 crucial things that I look for in a professional photographer, reliability, quick turn around and quality. The consistency in their work since working with them 5 years ago has never dropped, and for , this is crucial.